In The Strategist’s debate on Australia’s 2003 entry to the Iraq war kicked off by Graeme Dobell, it seems the balance of the argument tilts more towards him than to Peter Jennings’ rejoinder. Further, the process Graeme identifies affected not just the way that Australia went to war but how it became mired there for years to follow. Graeme’s case on the silence of Canberra’s national defence bureaucracy is supported by stronger evidence than he chooses to use. Brian Toohey cites an unnamed official confirming Graeme’s claims, but the clincher comes from former Secretary of Foreign Affairs and Trade (DFAT) Ashton Calvert who said that, ‘DFAT did not argue against that war role. 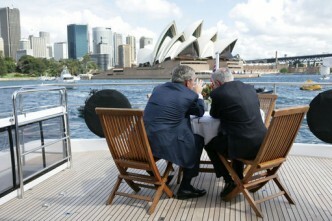 In my view there was a strong and shared sense of policy direction on Iraq from Howard and Downer. In my view they didn’t need advice on what they should do because they had, in effect, made up their minds’. That being said, the nature of Howard’s commitment to the Iraqi war was exactly what one would have expected of a political action to reinforce the ANZUS alliance. 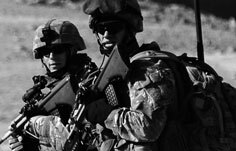 On 20 March 2003, 2,200 members of the Australian Defence Force (ADF) were deployed to participate in the invasion of Iraq. 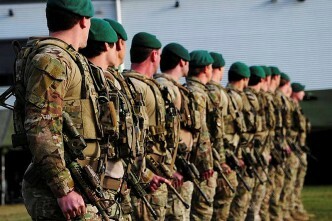 Their war concluded on 15 July that year and numbers were quickly drawn down (as had happened more than a year earlier when 1,500 Australians had been deployed to Afghanistan). 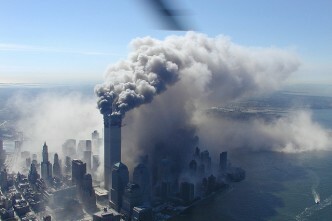 Only 70 were left to guard the Australian embassy, 80 to operate the control tower at Baghdad Airport, 16 to search for weapons of mass destruction (WMD) and 90 were seconded to positions with the US Iraq administration. 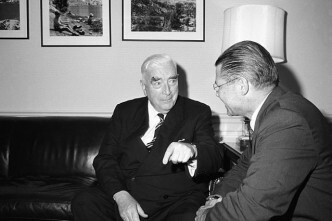 Howard later stated ‘the understanding we had with the Americans, when we originally participated, was that after the sharp end (of the invasion) was over we weren’t going to have any troop presence’. Despite initiating some training assistance to help redevelop the Iraqi armed forces, the Howard government stuck to this line for eighteen months. As the ‘shock and awe’ of America’s invasion morphed into outrage and loathing amongst a growing sector of the Iraqi community and as the US increasingly sought security assistance from its allies throughout 2004, Australia didn’t budge. The government rejected a UN request for combat forces to assist in the conduct of elections for the interim government, scheduled for January 2005, arguing that training, equipment and related logistics assistance for some 180 military sentries and bodyguards from Fiji discharged any Australian obligation. During this period of studied non-commitment it seems that Canberra’s government machinery continued in maintaining its silence about the Iraq intervention. From early 2004 Colonel Mike Kelly, seconded to the Office of General Council in the Coalition Provisional Authority, began unravelling evidence that the Australian company, AWB, had paid Saddam Hussein’s regime over $300 million in bribes up until the eve of the invasion. His warnings fell on deaf ears within DFAT. Then again, little notice was paid to reports as early as October 2003 from Kelly, other military lawyers and Australian WMD searcher Rod Barton that the International Committee of the Red Cross had complained of the abuse of detainees at Abu Ghraib. When the scandal about that prison broke in early 2004 the bureaucracy and government pleaded ignorance, despite the Department of Defence having earlier prepared draft responses to formal complaints from the Red Cross. The outcome for an organisation that should have learned something of the dangers of official silence from the ‘children overboard’ incident of 2001 was two days of humiliation for Defence officials before the Senate Estimates Committee in June. Kelly, now Minister for Defence Materiel, later said he observed a government that was unprepared for events in Iraq: ‘… after the combat phase … there was a distinct coming down [of] the shutters back in Canberra. We just didn’t do any strategic thinking or analysis of our own’. But by mid-2005 the government had changed tack. 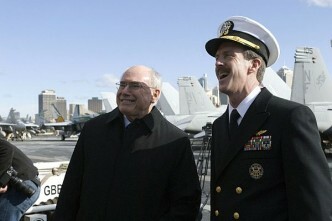 Campaigning for the 2004 election, the Coalition undertook to not dramatically increase troop numbers in Iraq, a position reinforced by Howard when interviewed by The Bulletin in February 2005. On 22 February the Prime Minister announced that Australia would provide a force of 450 troops for twelve months to protect the Japanese Iraq Reconstruction and Support Group in al Muthanna Province, replacing 1,200 Dutch personnel. In July 2006 Iraq assumed control of the province and the Japanese withdrew. 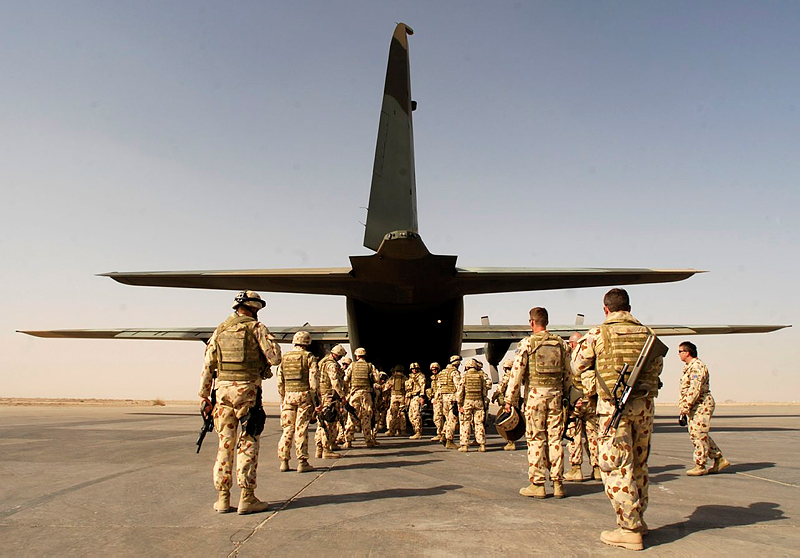 The ADF force soon moved to Camp Terendak at the US-operated Tallil airbase in neighbouring Dhi Qar Province, where it was to undertake a training and mentoring role and be available to assist Iraqi authorities in crisis situations, if asked. 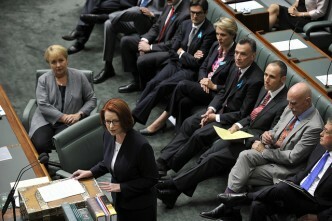 Nonetheless, the government continued to keep the ADF away from combat operations. 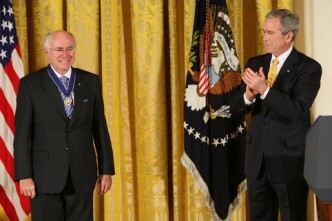 During the December 2006 AUSMIN talks Defence Minister Nelson and Foreign Minister Downer were approached by US Secretary of Defense Rumsfeld to consider Australian participation in an American practice of attaching US Army units to Iraqi army counterparts. The two Ministers quickly scotched any idea of Australian combat involvement, Downer insisting ‘with Australia…no, we only have a very small number there. We’re not planning to do it ourselves, no’. These complaints don’t reflect the whole story of the ADF’s involvement in Iraq. They were directed primarily against a perception that all the dangerous operations of Australia’s participation in the war against terrorism were restricted to the Special Air Services Regiment. What they do represent is the kind of confusion, resentment and ineffectiveness that can emerge at the end of an undertaking entered with insufficient thought, understanding and clarity. Derek Woolner is a visiting fellow at the Strategic and Defence Studies Centre of the ANU. He was Director of the Foreign Affairs and Defence Group in the Commonwealth Parliament’s research service till 2002. Image courtesy of the Australian Defence Force. Correction: an earlier version of this post incorrectly included Helmand province in a list of Iraqi place-names.